Ollantaytambo is a very famous town in Cusco, Peru. This place is very visited for its Inca ruins but also for being an obligatory destination before arriving at Machu Picchu, the Wonder of the World. Learn how to get to Machu Picchu through the magical town of Ollantaytambo. How is the train ride from Ollantaytambo to Aguas Calientes? What to do in Ollantaytambo while waiting for the train? How much does the train Ollantaytambo – Machu Picchu cost? Can I get from Ollantaytambo to Machu Picchu walking? Can I get from Ollantaytambo to Machu Picchu by bus? Can I get from Ollantaytambo to Machu Picchu by taxi? How to get from Ollantaytambo to Machu Picchu cheap? Ollantaytambo is a famous town located in the Sacred Valley of the Incas in Cusco, Peru. Its fame is due to the fact that it is the only Inca town that preserves its streets and urban design. 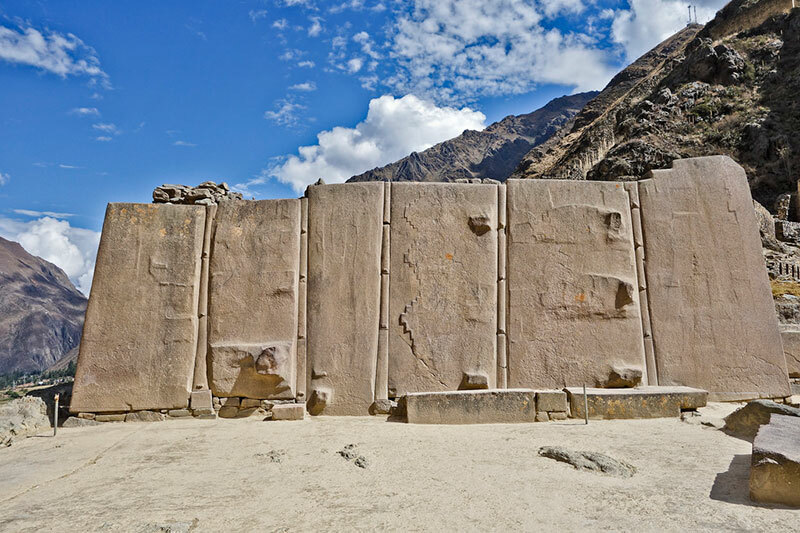 In it is the important Archaeological Site of Ollantaytambo. To get to Ollantaytambo you will need to board a minivan from the Pavitos street in the city of Cusco. This trip will cost around S/. 15 (US $ 4). The final whereabouts of these cars is in Ollantaytambo, just a few meters from the train station. The train ride from Ollantaytambo to Aguas Calientes runs along the banks of the Urubamba River through the Sacred Valley of the Incas. This 2-hour train ride is considered one of the most beautiful short routes that exist. Do not forget to take your camera well charged. The ruins of Ollantaytambo – One of the most beautiful Inca archaeological sites that exist throughout the Sacred Valley of the Incas. The town of Ollantaytambo – The only town in Peru that preserves its old Inca urban organization. Its walls combine Inca, Spanish and modern architecture. The Sito de Ollantaytambo Museum – This exhibition presents the historical evolution of the town and the region in a didactic way. 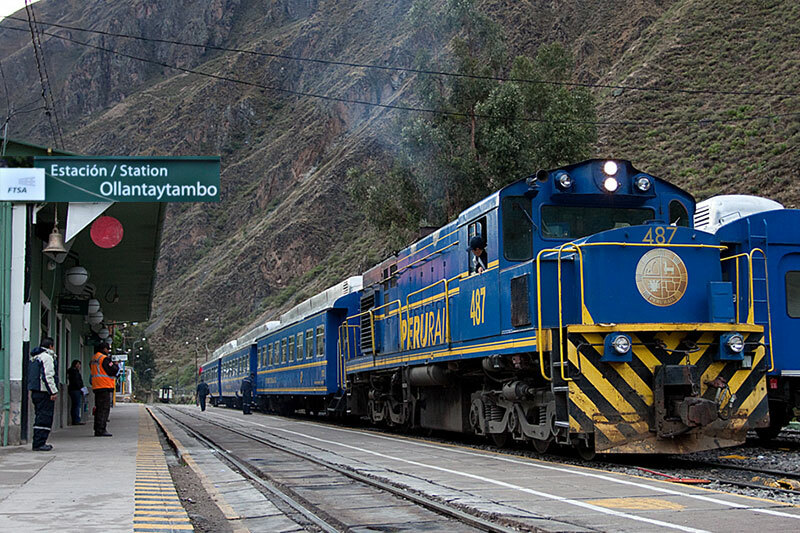 The price of train tickets from Ollantaytambo to Machu Picchu depends on the type of service that the tourist wishes. It is possible to get from Ollantaytambo to Machu Picchu walking. Although very few tourists dare to follow the 30 kilometers distance between both points, the adventure can be incredible. The road follows the train route. No. The only means of transport from Ollantaytambo to Machu Picchu is the train. To arrive by bus, you have to take the alternative hydroelectric route. This section takes between 4 or 5 hours by bus. No. Taxis only do the Cusco – Ollantaytambo service. From there you can arrive by train to the town of Aguas Calientes. Then take a bus to the entrance gate to Machu Picchu. The cheapest way to get from Ollantaytambo to Machu Picchu is by walking. Another alternative is to continue on the alternative route from Hidroeléctrica to Machu Picchu. Peruvian tourists can access a special service called ‘Local Train’ to Machu Picchu. The cost of this trip is 10 soles ($ 3). The train ride from Ollantaytambo to Machu Picchu as well as the entire trip to the ‘Lost City of the Incas’ should be planned ahead of time. Machu Picchu tickets must be reserved weeks before the visit. The entrance to the Huayna Picchu mountain must be reserved up to 3 months before the trip. During the high season of tourism (April to October) you must plan tickets, hotels, tours and other services in advance.